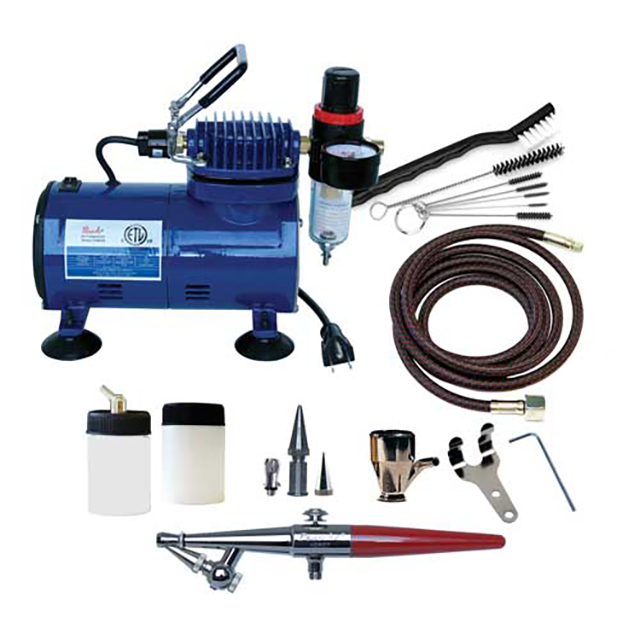 Products of Paasche Airbrush Company are favored by lots of people because of the reliability and design of airbrushes, compressors and other equipment the company offers. Paasche Company is one of the best manufacturers throughout the world that cares about the quality of its goods. 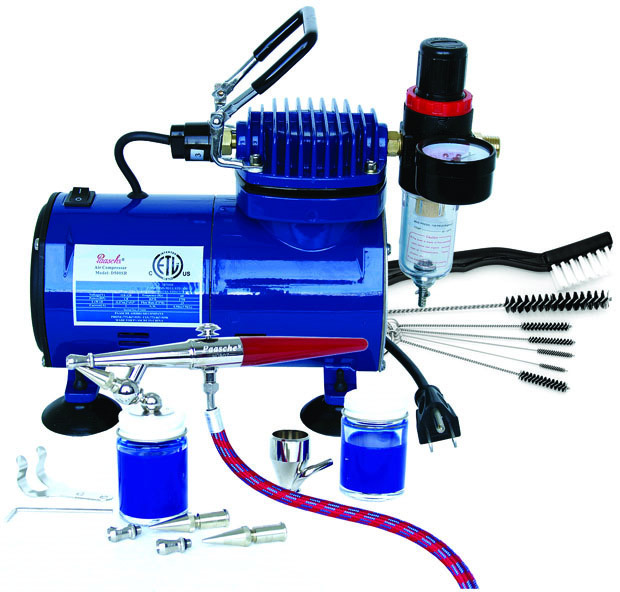 People who are interested in arts and crafts will enjoy the unique design and effective results of Paasche H-100D Airbrush And Compressor Package. This item is sturdy and adaptable for many hobby applications including nail art, makeup, cake decoration, and painting. The greatest thing about this package is that it’s perfect for beginners as well as for professionals. 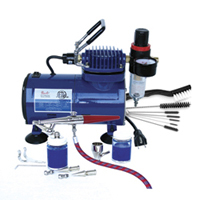 The airbrush compressor, included in the set, grants consistent spraying that allows you to achieve the desired results in a short period of time. If you want to start airbrush painting, try this product, and the result will surprise you. To start with, this kit is the best for those who have never airbrushed but wants to learn how to do it. This set has everything you may need to start airbrush painting. At first, the single action airbrush is extremely easy to use, and it suits for left and right-handed people. The three spray heads spray any paint for many applications so you can choose the way you want to work. Besides, the airbrush allows you to apply light fluids like fabric dyes, India inks, watercolors, and food coloring. Secondly, the package contains the D500SR air compressor with regulator and moisture trap that produces a steady airflow for even spraying. When you don’t use the airbrush, the auto shutoff function activates, allowing, thereby, for energy saving. The quietness of the compressor allows you to concentrate on sufficient paint spraying in peace while still providing up to 35 PSI of pressure. The pressure is rather stable that guarantees excellent results for your artwork. Then, thanks to the compact size and light weight of the kit, you won’t get tired even after continuous use. For easy airbrush cleaning, use the set of seven brushes that come along with the H-100D package. And finally, the kit is made from rust-proof materials that help to keep the good look of the item look for a long period of time.